The brutal nocturnal charge, which I do not get rid off during the day in any other place but in the water, causes an increasing intolerance of also this PC, the stove, the phone, the car’s electrics, and so on – something I did not experience at all until July this year. To write a letter like this one I am perhaps able every other two days. For some people this is a sort of death sentence. Both mails give evidence that the pastor Häublein must have been in an emotional state marked by despair, bitterness, and hopelessness. His enemies, who from the beginning thought of him as a mentally ill person, will probably feel fully supported in their view by the description of his suffering, and they will not even wonder at all what made him so very ill. But the answer clearly lies in his move from South to North Germany. Between 2006 and 2009, he was ill in the radiation-exposed Ammertal, he then felt well again in 2009 after moving to a radiation-free spot at the Baltic Sea. When the radiation finally reached his new home in 2012, his illness not only returned, but was worse than before. With his long ordeal and his reoccurrances when confronted with new exposures, he proved that his electrosensitivity was caused by electromagnetic fields. Since 2006, pastor Häublein was strongly committed to have electrosensitivity regarded as an environmental illness. He did not want and could not approve that German politicians responsible for taking care of the health of the people, would sit back and watch how a minority of people are deprived of their right to health. As science obviously could not help him and the many other persons concerned, he intended to have a court decision on this matter and he wanted to hear my opinion. I believe it is in his interest that on the occasion of the third anniversary of his death I write this report. I told pastor Häublein that in my opinion a court action to have electrosensitivity recognized as an environmental disease would be doomed to fail. The judge would refer to the safety limits of RF-EMF, which the German Commission on Radiological Protection (SSK) and the Federal Office for Radiation Protection (BfS) – opposite to my view – claim to reliably protect the people against any health risk. It could also to be added that the radiation emitted by base stations and other radiating devices fall well below the safety limits. The prospects of convincing a judge that the BfS hardly knows anything about the biological effects of mobile communication radiation and, therefore, uses the “expertise” of “experts” from the mobile communication industry are certainly rather poor. Furthermore, should indeed a courageous judge be found who believes that the plaintiff’s personal history and the causes behind his illness may be true, he would probably be set right latest in the second instance. Thus, looking at the international literature altogether the conclusion can be drawn despite the different definition of target groups and recruitments that “electrosensitivity” in the sense of being causally connected to EMF exposition most probably does not exist. Further research therefore should be carried out in a subject area outside EMF research. The way the issue of electrosensitivity is dealt with arouses the suspicion that the ignoring of any effects is based on an arrangement between industry and politics. Scientists, who are selected for this kind of research by industry and politics because they know a lot about psychology and psychiatry, but often nothing about RF-EMF, try to find out – endowed with ample funds – if there are any differences in behaviour and sensitivity between non-electrosensitive and electrosensitive people. 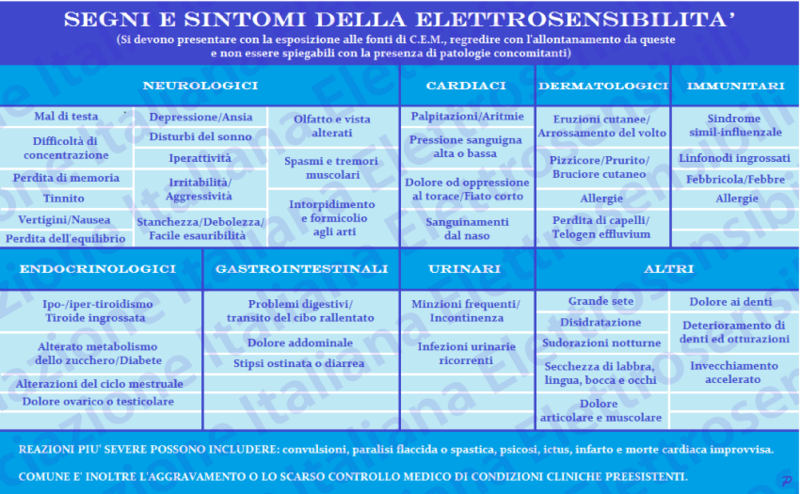 With the statistical evaluation of experimental or questionnaire data, they come to the conclusion that the electrosensitive persons suffer significantly more from somatoform disorders, without finding an adequate physical cause for the symptoms described. Unanimously, the researchers then state that the suffering of these people can be very severe due to these somatoform disorders and that this has to be taken seriously. Yet, unanimously they are of the opinion that the research results obtained cannot confirm RF-EMF being a cause of the electrosensitivity. Thus, the way for the so-called risk communication is paved for which the mobile communication industry has a special group of “experts” on stand-by. 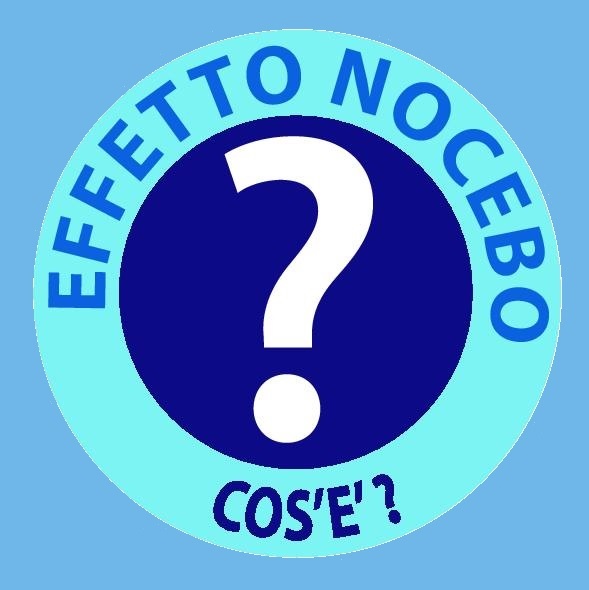 Regularly, it informs the public that based on the available investigations it is scientifically proven that electrosensitivity occurs quite independently from RF-EMF exposure and that, too, it has nothing to do with it, because, they believe that below the safety limits there are no relevant biological effects causing a health risk. 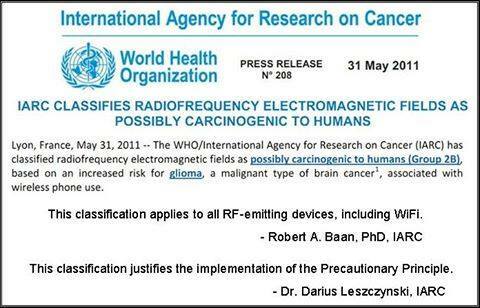 In his report on the BioEM2015 (1) , Prof. Dariusz Leszczynski states that all studies concerning the question of electrosensitivity, which are quoted as proof against electromagnetic fields causing health disorders, are from their approach inadequate to justify this conclusion. He talks of a standstill in science because for years it has been limited to the questions “how do you feel” and “what do you feel” instead of impartially searching with molecular-biological techniques for the physiological differences between electrosensitive and healthy persons. The biggest obstacle to advancing knowledge in this field, according to Leszczynski, is that scientists obviously lack ideas for new research approaches. What he hides is the fact that industry and government, the only ones having the necessary funds, do not support the research approach he proposes. His professional experience is the best proof that this assumption is correct: His research division at the national STUK in Finland was closed in 2012 and he lost his job apparently because he had started to turn to this neglected research area (2) . The reason that there is no real explanation for electrosensitivity caused by mobile communication radiation is not at all a proof against the assumption that electrosensitivity is a special form of the radiation illness known for a long time. The argument also turns into air because there are other diseases with a pathogenesis only partly or not at all understood, but without anyone doubting their existence. Pastor Häublein – by the way not the only one – claims that the symptoms of electrosensitivity disappeared all the sudden after moving to a radiation-free place, but returned all the sudden when the place was connected to radio network via LTE. Furthermore, he has shown himself that protection from the external radiation is possible under certain conditions. If this is true, and we do not have any reason to doubt, any further proof of the causality of an interaction would not be necessary – quite independently from knowing the mechanisms. In the meantime it is well known that radiation effects exist also below the safety limits, which industry and politics categorically ruled out so far. Further proof was recently provided by Professor Alexander Lerchl from the private Jacobs University Bremen, a former member of SSK – even if just by accident. For many years, Alexander Lerchl ensured the harmlessness of RF-EMF with exclusively negative results. Recently, however, he was forced to confirm – based on the outcome of a study financed by industry and politics and carried out by his research group – something which he had vehemently denied before: RF-EMF in form of UMTS can increase tumour growth in mice below the safety limits (3) . By the way, the mechanism of this process is still a mystery just as the one of electrosensitivity. Tumour promotion is with a high probability accompanied by tumour initiation. 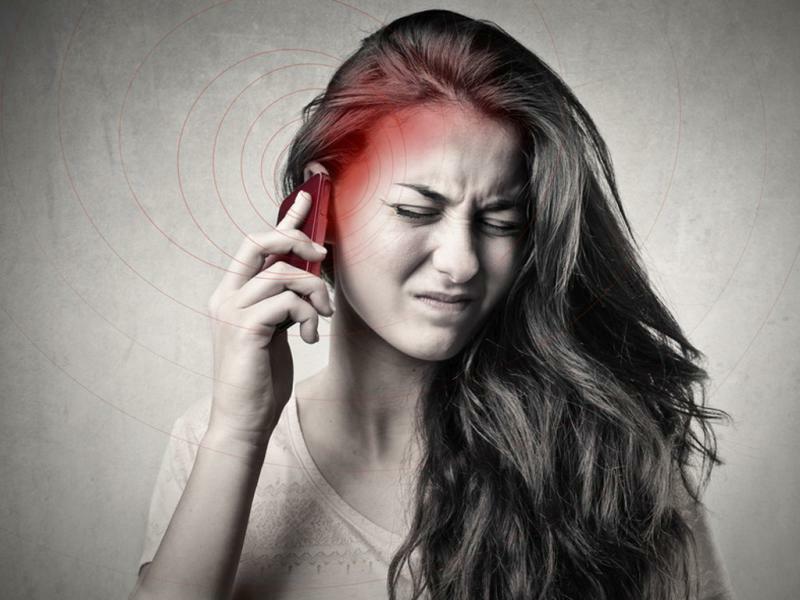 The genotoxic potential of RF-EMF as demonstrated in laboratory studies and the outcome of several epidemiological studies speak in favour of this assumption. Altogether, the conclusion can be drawn that biological organisms of any nature, be it single cells, animals or humans, may be at risk in some way due to RFEMF exposure. If this is possible, inevitably the question arises why it should not be responsible for the symptoms of electrosensitivity also. Dariusz Leszczynski criticizes in his report on the BioEM2015 that during the conference a vast number of bioelectromagnetic topics were dealt with, yet biological effects on humans were sparsely presented. 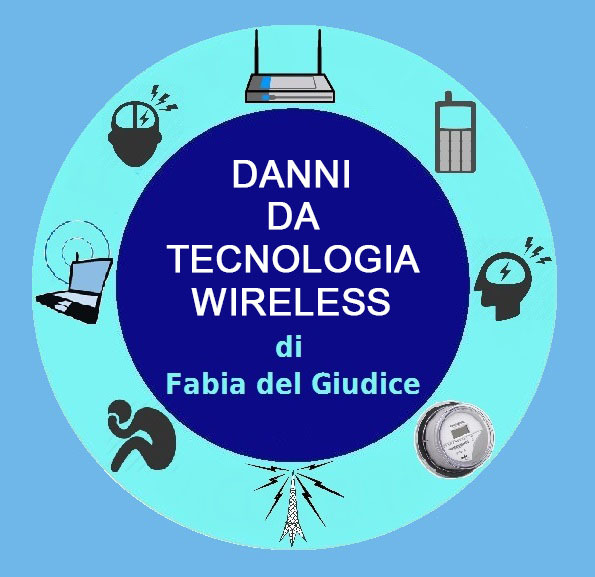 However, without such investigations it is nearly impossible to prove that electromagnetic fields cause physiological changes in human organisms that are relevant for the development of diseases. He suspects that this kind of research is more or less blocked by decision-makers in politics and industry who may be afraid of the possibly awkward consequences from the results. That Dariusz Leszcynski’s suspicion is more than justified reflects the dealing with the REFLEX-Study, a research project designed as required by him. In this study financed by the European Union and coordinated by me we found genotoxic effects of RF-EMF far below the safety limits. To get rid of these results, in 2008, Alexander Lerchl – who no doubt acted in the interest of the industry – suddenly claimed that the REFLEX results would be faked. With this kind of emergency brake, he obviously intended to prevent the support for the REFLEX link-up study on which the decision of the European Union was pending. He adhered to this allegation for years until finally in 2015 the Hamburg District Court forced him to recant and convicted him of defamation and libel. Numerous recent scientific publications have shown that EMF affects living organisms at levels well below most international and national guidelines. Effects include increased cancer risk, cellular stress, increase in harmful free radicals, genetic damages, structural and functional changes of the reproductive system, learning and memory deficits, neurological disorders, and negative impacts on general well-being in humans. Damage goes well beyond the human race, as there is growing evidence of harmful effects to both plant and animal life. In the meantime there are first signs that the policy of playing down the environmental radiation exposure as harmless may slowly come to an end. A court in Toulouse, France, considered it proven based on medical certificates that Ms Marine R. just as pastor Häublein is suffering from gnawing aches in head and spine and sleep disorders near base stations, smartphones, and even TVs. Therefore, it classified the plaintiff 85% severely handicapped and awarded her with a monthly pension of 800 € for three years. In order to avoid any exposure to electromagnetic fields Ms Marine R. now lives in an old stone house in the Pyrenees near the Spanish border without electricity and running water, and of course without mobile phones. 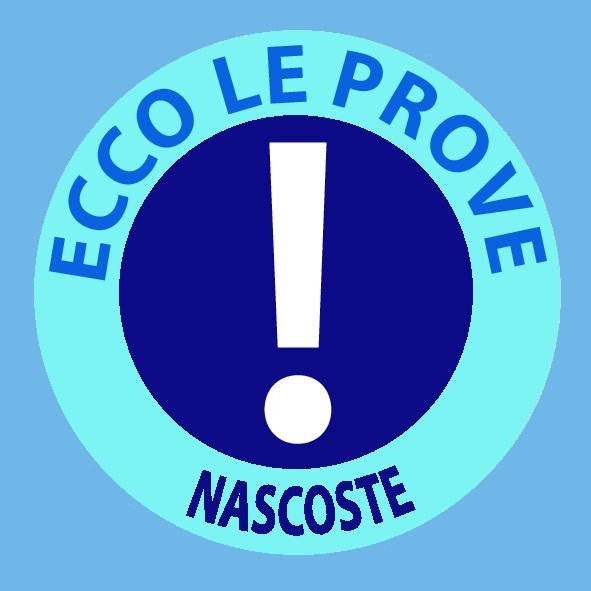 Let us hope that courageous judges will be found not only in France who understand the basis for electrosensitivity, who question the rationale for the safety limits and who provide justice to electrosensitive people.